As an ISO 9001:2008 registered and CHAS accredited company we are ever mindful of our need to maintain a high level of excellence in all that we do. In support of this we have embarked on a programme of development of both our capacity in terms of machinery as well as our capability in terms of people development. 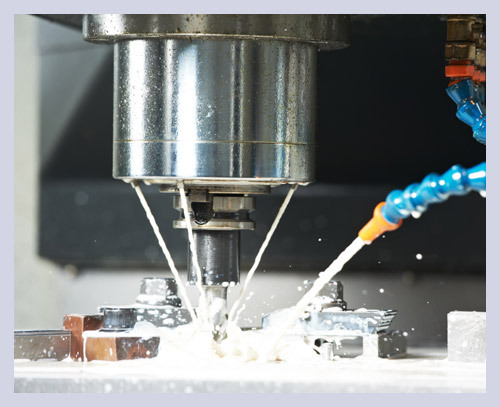 Our CNC lathes enables high speed and high quality turning of all materials. The turning process allows for complex external geometries and internal bores to be generated in a high speed and efficient manner. Our turning capacity is available for one-offs through to batch production of your components. We grind components and bars for companies who operate in many industries including automotive, aerospace, medical, defence, motor sport, sub-sea oil and gas, research and development, and power generation. We currently provide subcontract production wire erosion services to the aerospace, research, medical, motor sport and military/defence industries. Our facilities include Charmilles and Fanuc wire edm machines with automatic wire feed, submerged cutting and large beds for multi-loading. We have vast experience within wire erosion and offer a flexible 24-hour service, covering everything from prototyping to volume production, fast turn around and expert technical support. We have a fully equipped workshop and highly skilled fabricators and welders. Powerful MIG, MMA, TIG services are offered by our certified welders. To complement our fabrication we can apply surface preparation and industrial painting to products we manufacture, to meet both decorative and functional requirements. We focus on the application of protective coating systems that consistently provide excellent corrosion control, great value and minimal risk to employees and the environment. Our paint booths are sufficiently large enough to accommodate most sizes of components. We are able to apply customer specified paints including colours from the RAL and BS ranges in our spray booths using airless and air.